So, You Want To Get A Cell Tower On Your Property? 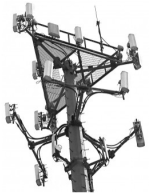 Carriers and Tower Companies Need More Cell Tower Locations. November 15, 2018. Fort Walton Beach, FL. So you want to get a cell tower? Believe me... So do I. There are about 330,000 cell sites and cell towers currently in the USA. And there are approximately 325,000,000 people living in the USA. According to the numbers, simple math says that approximately 1 in 10,000 people should have a cell tower. Actually that statistics are better than that because not every person in the USA owns property. 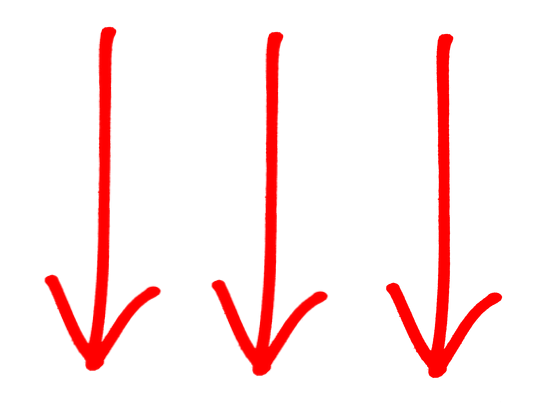 In a given square mile, town, city or county, how many parcels of land are there? 100? 500? 1,000? There could already be two or three cell towers already located there but the need for additional coverage and capacity drives the need for more towers to be constructed. So, are you interested in getting a cell tower or cell site? Yes! Of Course I Want to Get a Cell Tower On My Property. The reality is that 99% of cell tower locations that property owners think would make a great new cell tower site, simply don't meet the coverage objectives of the cellular carriers. However, as Michael Jordan said, "You miss 100% of the shots that you don't take." 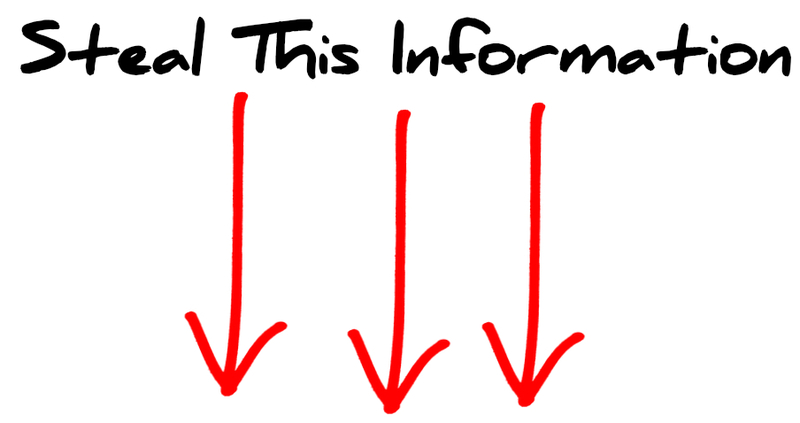 When you are at your property, look and see how the coverage is. If you have bad coverage and have limited use of 4G apps on your smartphone, chances are your area needs to improve coverage. That means there is a greater probability of your location being at least in the vicinity of a place were Verizon Wireless, AT&T, Sprint or T-Mobile needs to improve their voice and data coverage. How Do I Get A Cell Tower On My Land? 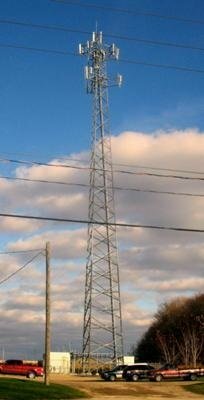 If you have the patience and are adamant about marketing your potential cell tower sites and want to get a cell tower on your property, Tower Genius LLC is now offering a marketing services for property owners who want to get a cell tower on their property or have a cell site built on their rooftop. The cell tower marketing services offered by Tower Genius are a paid service and are available exclusively in the United States. 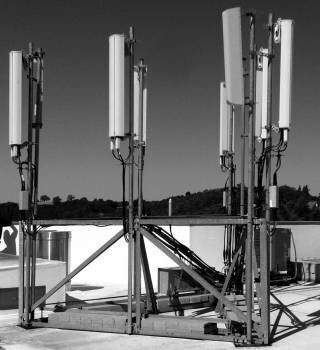 We will promote your property or building location to for cell tower development to the four major wireless carriers, Verizon Wireless, AT&T , Sprint and T-Mobile, and to the three major US cell tower management and tower development companies, SBA Communications, American Tower Corporation and Crown Castle International. 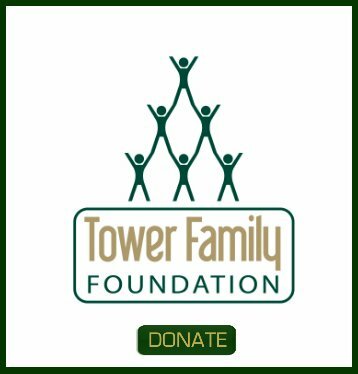 Let Tower Genius Help You Promote Your Cell Tower Locations! Remember, think out of the box and be patient. I've suggested that property owners with commercial sites put out "Cell Tower Wanted" bandit signs (yard sign) in front of their site. One of our competitors also seems to think this is a good idea and put this on their website along with a bunch of other ideas they 'borrowed' from us ☺ so good luck. 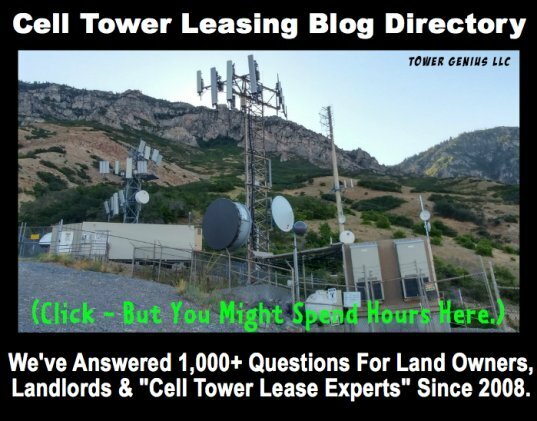 Cell Tower Locations - What's A Good Cell Tower Lease Rate?